Welbeck is deemed to have suffered a broken ankle in the recent 0-0 draw against Sporting in the Europa League and a scan is expected to determine the extent of the damage. However, the Gunners are said to fear the worst in the current situation and The Sun claims that the club could make an approach to sign Pepe at the turn of the year. 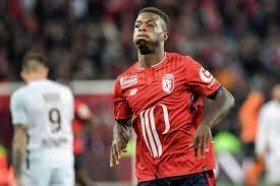 Pepe, who is currently valued at £45m, has been instrumental towards Lille's strong league start with eight goals and five assists from 13 league appearances this term. Aside from Arsenal, the likes of Bayern Munich, Manchester United and Manchester City are also considered to be monitoring the developments of the Ivory Coast international.